The first deputy head of the Russian government’s military industry commission, Yuri Borisov, was appointed a deputy defense minister, a spokeswoman for the commission’s chairman said. MOSCOW, November 14 (RIA Novosti) - The first deputy head of the Russian government’s military industry commission, Yuri Borisov, was appointed a deputy defense minister, a spokeswoman for the commission’s chairman said. “The first deputy head of the Russian government’s military industry commission, Yuri Borisov, was appointed a deputy defense minister in charge of armament issues,” said Lidiya Mikhailova, a spokeswoman for the commission’s chairman, Russian Deputy Prime Minister Dmitry Rogozin. 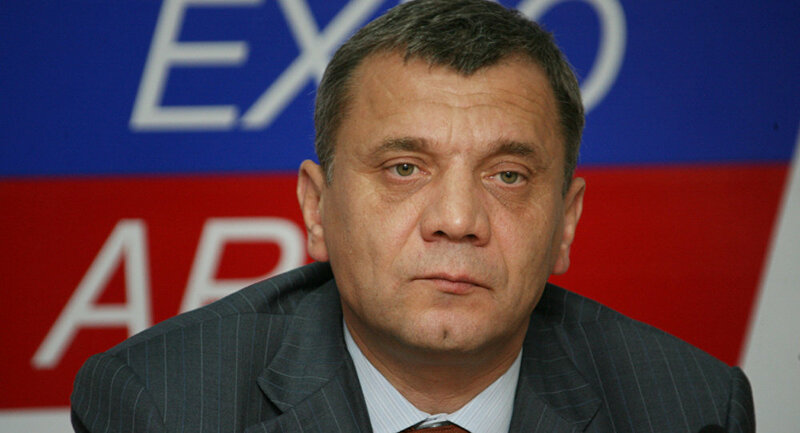 First Deputy Defense Minister Alexander Sukhorukov, who was previously in charge of defense industry issues at the ministry, was relieved of his duties on November 9. Russia’s top military circle faced major reshuffle after the November 5 appointment of Sergei Shoigu as Defense Minister, replacing Anatoly Serdyukov. He was dismissed amid an investigation into nearly $100 million in fraudulent transactions involving real estate owned by Oboronservis, a ministry-controlled company.